Product code: 2442 Categories: Sold Items, Sold Watches. 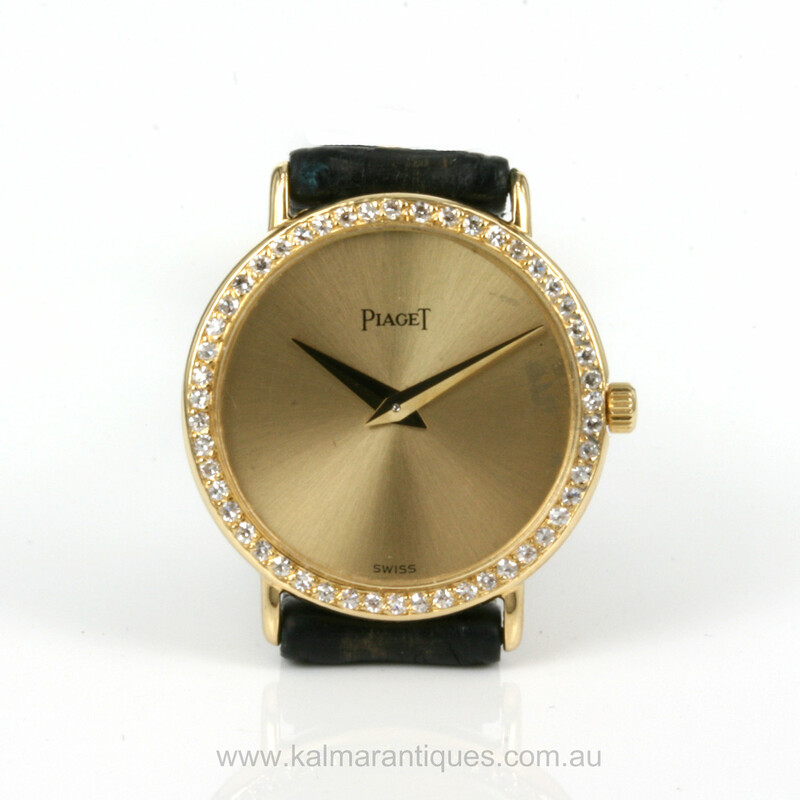 Piaget watches are world famous for the astonishingly thin mechanical moments that are often so thin that they are even thinner than most quartz powered watches and here is a ladies stunning Piaget watch – the Piaget Altiplano watch with the ultra-thin Piaget calibre 20P. Made in 18ct yellow gold, the watch case is set with 50 round brilliant cut diamonds and the watch case measures 23mm across plus the crown. The entire case measures an incredibly thin 3.6mm thick and this of course includes the watch case and glass. Astonishingly inside is a 9 jewelled manual wind Piaget calibre 20P that has just been fully serviced and overhauled by Piaget and of course runs perfectly. 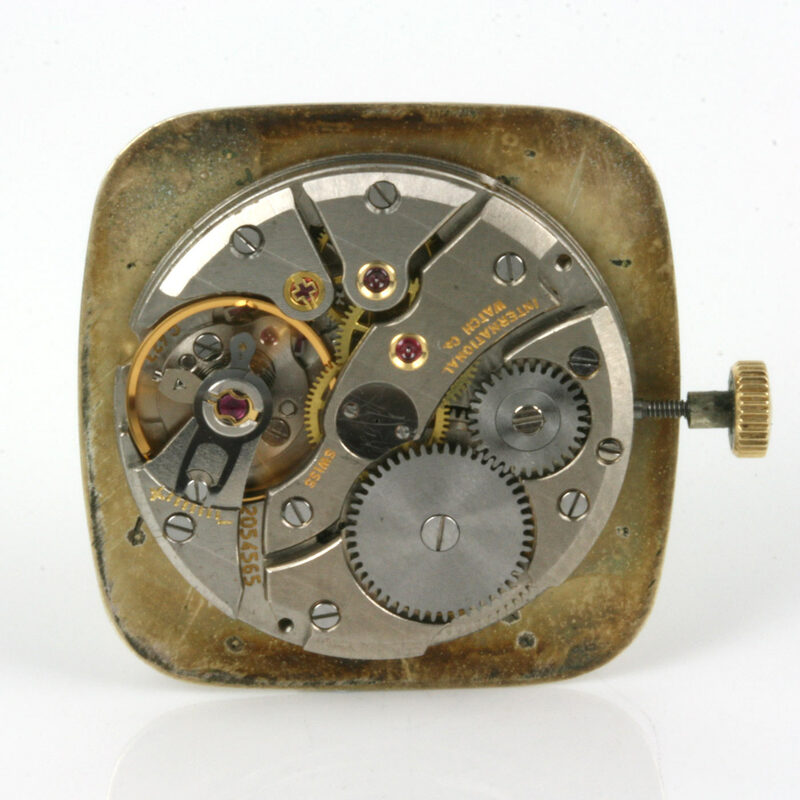 This Piaget 20P movement measures an incredible 1.2mm thick – or should we say thin. 1.2mm! This is as this thin if not thinner than many coins from most countries. And to think that it is mechanical as opposed to quartz makes it truly spectacular. The quality of this movement has not been sacrificed with how thin Piaget made this moment as it has been adjusted to 5 positions as is the standard for a chronometer watch. The hands and the dial look so elegant and the diamonds certainly add to the grace of this spectacular watch. Fitted on a Piaget crocodile band with an 18ct yellow gold buckle, this Piaget Altiplano watch will grace any woman’s wrist with pride.